Research shows that 74 percent of kids between the ages of 5 and 12 get less than one hour of outdoor play time per day. Experts say that ample outdoor activity is crucial to the health, well-being and development of children. Our solution is to get children to go outdoors and remain outdoors for extended periods of time through Yalp "Smart Park" interactive play and sports equipment. Interactive play is where the digital and physical worlds around us meet. In short, it is "real-life gaming." The electronic video game portion brings challenge, problem solving and a continued renewal of game options to play. The physical portion brings benefits such as exercise, social interaction, teamwork and experiencing the outdoors in a healthy manner. 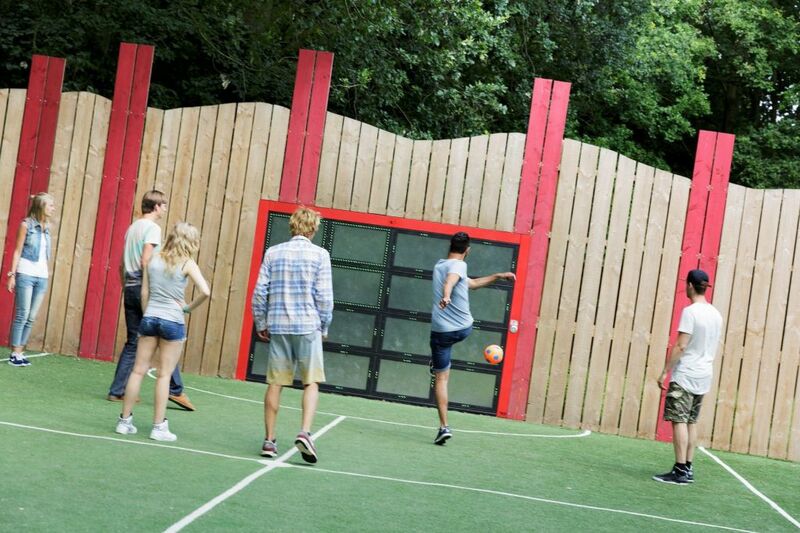 Yalp International interactive play equipment is suitable for all outdoor and indoor environments. Just like traditional play, interactive play can be performed anywhere! Yalp designs its equipment to be both accessible and inclusive for people of all ability levels and ages. Browse our five new interactive play structures below. Interested in learning more? Please contact us! Our team can provide additional information and help put together a quote for interactive equipment at your organization.